This post has been a long time coming and I am excited to share it with you. 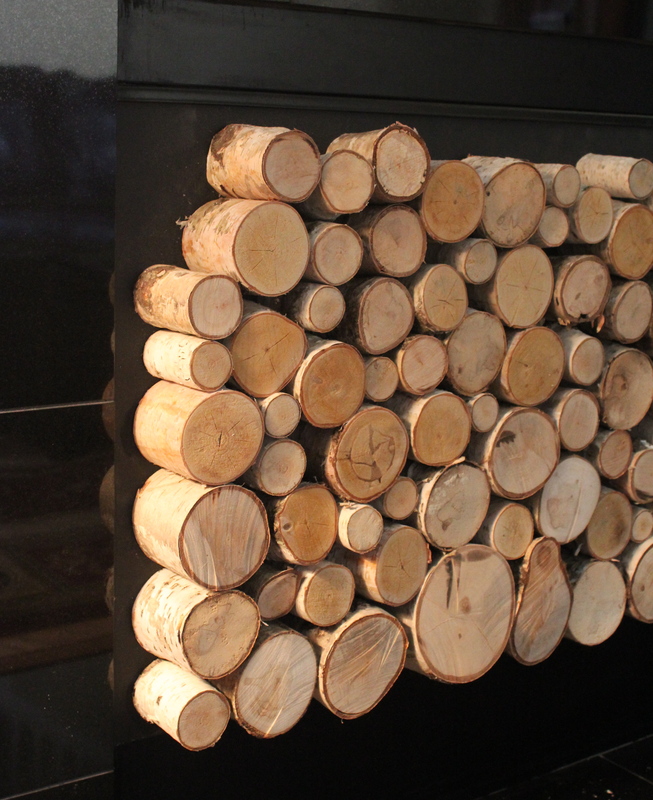 Sometime back in January I happened upon a very cool idea for your fireplace when it’s not in use. 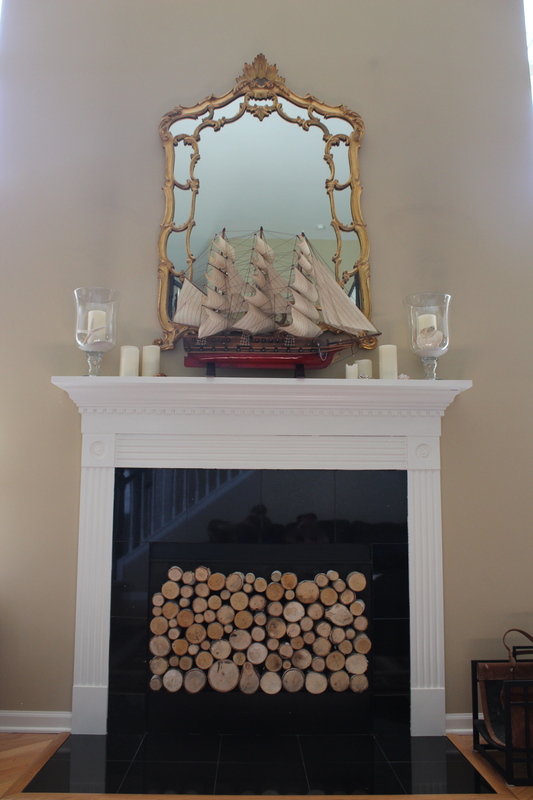 Pepper Design Blog had posted an interesting solution to recreate the look of faux stacked wood for her fireplace so I followed her instructions and gave it a shot. Let’s start off with the materials you will need. 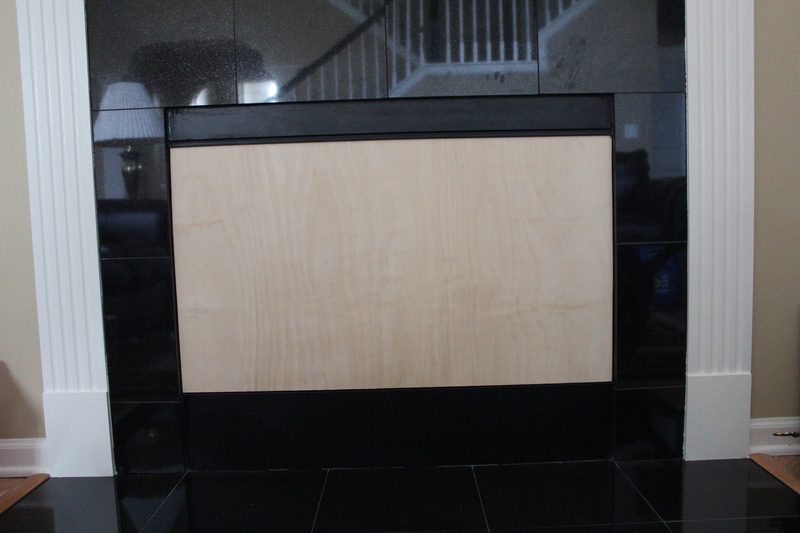 A piece of plywood cut to fit the opening of your fireplace, chalkboard paint, lots of birch or any wood you care to use and wood glue. I had my husband measure and cut out the plywood for me. He made sure the wood fit snugly into the opening before I began painting. 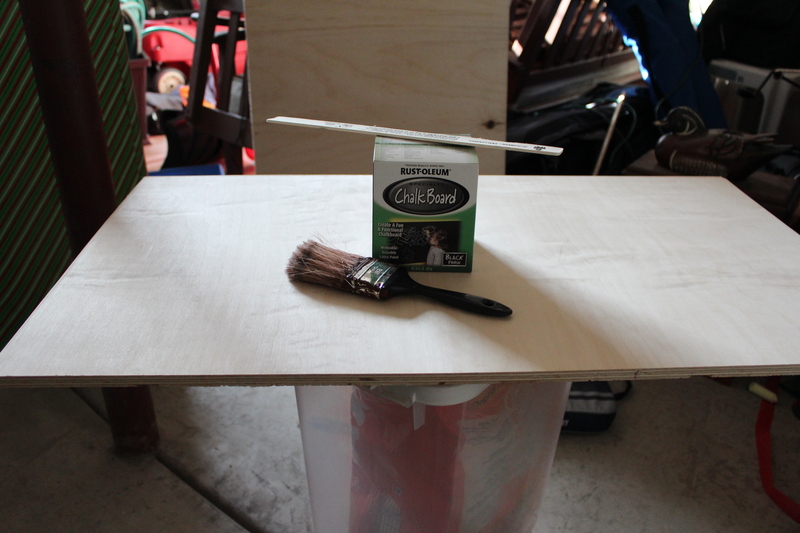 The wood only needed one coat of paint and the chalkboard kind gives it a flat look instead of going glossy. The idea is to give the effect of depth. Next I had my father-in-law and husband cut 3-inch pieces of birch for me. This is the hard part because it takes a lot more wood than you would expect. I thought I would have plenty with 13 large logs, but I needed waaay more than that, more like 4 times that many. My dad is the supplier of the birch. He brings it home from his fishing trips in northern Minnesota and my mom will stock up her car when she drives out to visit me and the girls. 🙂 Aw, such a lucky daughter to have these kind of parents. I am sharing this post in the summer because wood is much easier to get now then, oh, I don’t know the dead of winter when I decided this would be a great project to take on and there was no wood in sight. I wasn’t kidding when I said this project took me a while. I got my second round of birch in June and got back on track with this DIY job. Finish cutting the 3-inch pieces. Hint: I went to Home Depot and they cut the rest of the logs for me at no cost. Yay! This was shaping up to be a very budget-friendly project indeed. 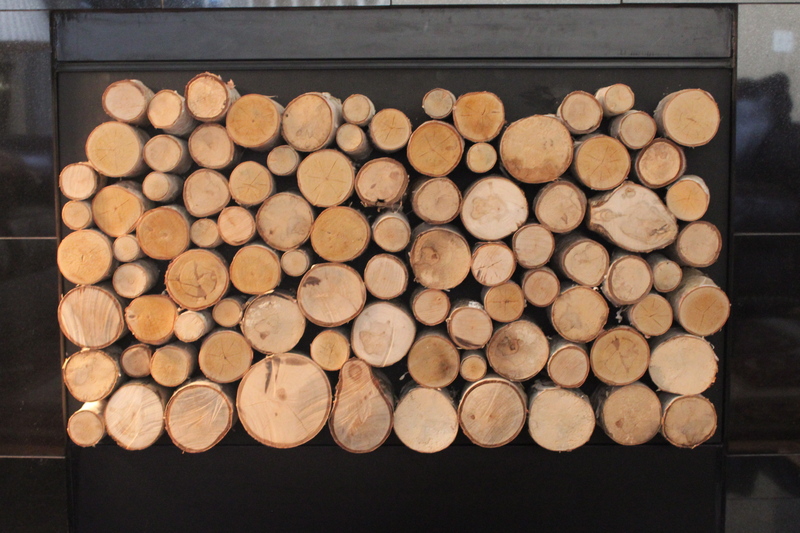 The final step was arranging the log pieces the way I wanted on the plywood and gluing each piece down. I used Gorilla Glue and loved the results. At some point I might reinforce the bottom and side logs with a nail gun, but I don’t have access to one at the moment. What do you think? Ready to take this on too? Looks amazing !!! You are so talented !!! I love this…it looks fantastic; what a great idea!! !